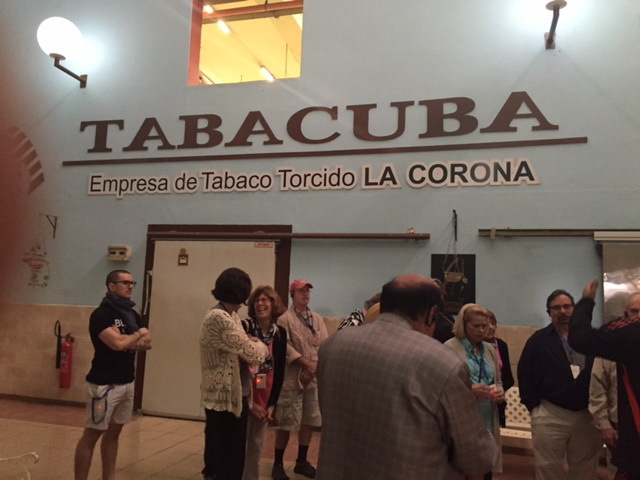 We had the unique opportunity to visit the largest working cigar factory in Havana known as Tabacura. Cuba produces the top cigars in the world. It is part of their history and culture as it is said that Columbus found the Cuban Indians rolling and smoking cigars. In fact, cigar rolling is one of the oldest professions in Cuba. Most tobacco fields are privately owned, but the owners must sell 90% of their products to the government and the government sets the price. This factory produces 30,000 cigars each day and 27 different brands, including the top brands known as Cohiba and Romeo & Juliette, which can cost up to $25 for one cigar. Some 635 persons have full-time employment at the factory (8 hours a day, Monday through Friday) including women, who make up 65% of the workforce. Employees are paid “well” – $100 per month – and can earn bonuses if they produce above their quotas. Every cigar is made up of five leaves and there is a very detailed process used to select the right leaves. Leaves are picked at different times from the same tobacco plants, depending on the desired color of the cigar – either light or dark brown. The factory has a strict quality control department that ensures the proper rolling of each cigar, including determining the content of air in the cigar. system. The workers gave us a special greeting by striking their knives on the tables. We were not allowed to take any photos inside the factory, as it would be too distracting to the workers. After the cigar factory, we had a guided tour of the Cuban art museum – Museo Nacional De Bellas Artes – Arte Cubano – which was founded in 1915. Maintaining and promoting Cuban culture is considered the responsibility of the government and there is a Ministry of Culture that has been very influential in preserving and displaying art. This museum houses Cuban art from the Spanish colonial period through modern time. Art content in Cuba typically followed current events and especially during the period of 1960 through 1980, art always had a political statement reflecting what was happening in society. We became acquainted with famous Cuban painters such as Carlos Enriquez, Amelia Pelaez, Wilfredo Lam, and Raul Martinez, all of whom had their own interpretations of current events during their times and expressed those interpretations on their canvases. After the art museum, we visited the studio of another renowned Cuban artist who works with ceramic tiles – Taller Fuster. Fuster started renovating his home and property with colorful tile designs and then moved on to decorate the homes and properties of his neighbors. There is actually one small block around his home that is decorated with his tiles. A common animal used by Fuster in his designs is the rooster, who represents life. Other designs are of people, fish, and the Cuban flag. As the day continued, we visited a senior citizen home that cares for 400 seniors who have no family members. This home was established in 1900 by the Catholic Church and is managed by 11 nuns who are Sisters of the Order of the Helpless People. The government subsidizes a portion of the cost to have the seniors reside at the home. One of the highlights of the tour for me was our visit at the end of the day to the House of Culture in a neighborhood in Havana. Each community has a cultural center or “house of culture” that is sponsored by the government where children are encouraged to develop their artistic gifts in theater, music, and art. These centers are open during the weekdays after school from 5 p.m. to 8 p.m. and are of no charge to the students. The one we visited had an active theater production company run by Humberto Rodriguez, a former professor at the Cuban Institute of Arts. Children in this theater company range in ages from 8 to 15. 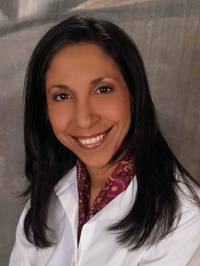 Rodriguez writes the scripts and teaches the students about acting. They have performed all over the island and in Switzerland. If a student desires to continue pursuing a study of the arts, he can apply to a special high school for the arts and then attend the Institute of Arts at the college level. It continues to be very difficult for me to access the internet because of the inability to log on despite my repeated tries. There was a brief power outage today and it was suspected that this may have caused the interruption with internet service. Nevertheless, I persevered so that I could email this article. Every day, it becomes clearer to me that the amenities we enjoy and are almost common place in the U.S. are still not available in this country. There is much hope though that the future will bring much needed improvements.